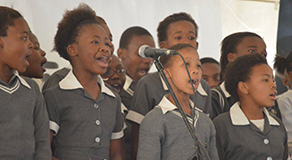 Cyril Ramaphosa Foundation (CRF) is implementing a pilot programme – called Thari Programme – in support of vulnerable women and children in schools in Botshabelo in the Free State, and in Diepsloot in Gauteng. The programme will be implemented through CRF’s partner entity, Adopt-a-School Foundation. The objective of the programme is to provide schools and communities with a safe environment that is free from violence, is academically effective, inclusive, and gender-sensitive, while promoting health and well-being for all. 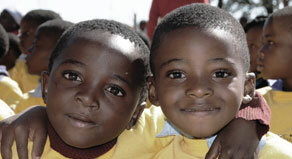 There is an increasing concern within South Africa that schools are the sites of widespread violence. While the school environment is supposed to foster learning in a safe and protected environment, it appears that this is not true in many schools within the South African context. 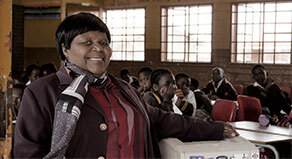 Following extensive research around the prevalence of sexual abuse and the disempowerment of community members, victims, parents and even educators in many cases, the Cyril Ramaphosa Foundation concluded that to effectively address violence in schools, support needs to be extended beyond the school itself, to include family members and the greater community. The Thari Programme’s selected townships are poverty-stricken, plagued by a high rate of unemployment, crime, violence and skills shortages. All of this greatly increases the vulnerabilities of women and children. 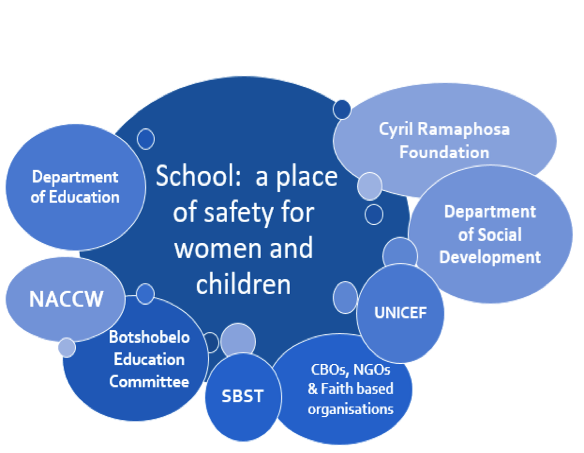 CRF is implementing the pilot programme with the aim of drawing lessons and determining scalability and replicability for the support of vulnerable women and children to other areas in South Africa. CRF acknowledges that implementing programmes aimed at benefiting large numbers of vulnerable women and children in a sustainable manner requires collaboration and partnerships with other like-minded organisations. A multi-sectoral approach has been adopted, to involve all sectors of society, government departments, the business sector, civil society organisations, faith-based organisations, community leaders and councillors, non-governmental organisations, youth and learners. 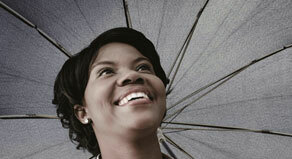 Our chosen model will include the collaboration of stakeholders in both the Botshabelo and Diepsloot communities. It is aimed at ensuring harmony when addressing the social factors that make women and children vulnerable. The Foundation has adopted two strategies to best address the unique challenges in our two pilot communities. Our Isibindi Ezikoleni Model involves the deployment of qualified Child and Youth Care Workers (CYCW) and the establishment of safe parks. The CYCW assesses and identifies vulnerable children and their families and provide psycho-social support services to them. The model’s effectiveness is grounded on the availability of CYCWs who provide their services during child-friendly hours. The CYCWs are contracted to work for eight hours per day and support the children before and after school, during breaks, school holidays and weekends. The CYCWs further attend to families identified as being in need of follow-up support over weekends. The Botshabelo project has established a Safe Park to provide a secure space for children to go to after school, over the weekends, and over school holidays. Here they can learn life skills while playing under the close and caring supervision of our Child and Youth Care Workers. Children can engage in learning activities and sports, receive educational support with their homework and study work, and learn to read with the aid of traditional stories. CRF is implementing the model in collaboration with a number of organisations.